It’s a regular dream come true. Pretty young actress is spotted by Hollywoodstudio boss who gives her a new name, fast-tracks her to stardom and marries her. And he turns out to be a good man, a loving husband and father. 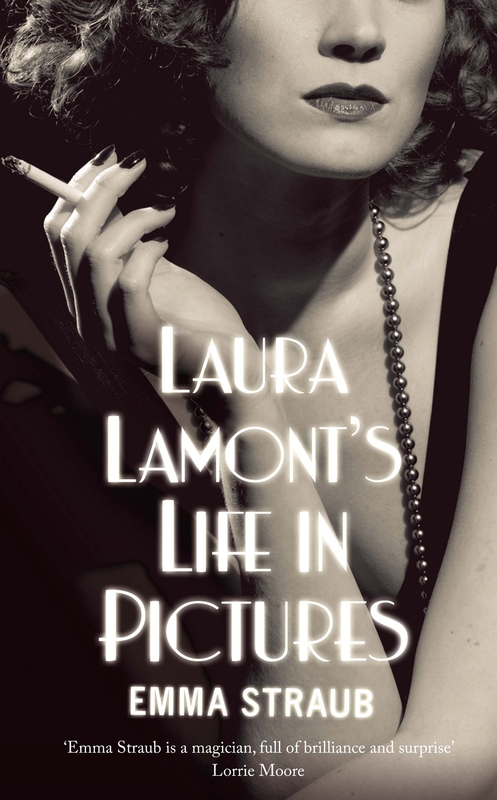 So why is the story of Laura Lamont’s life in pictures so heart-rending? Because it’s not as simple as that, of course. She came from one family and creates another, and families are complicated. The good man is older than her and has a heart condition, there are three children and suddenly no more money, and the star’s glory is by then on the wane. It could all end in tears. We begin with Elsa Emerson aged nine, pink faced with white-blond hair, one of three sisters in a theatre family in rural Door County, Wisconsin. Each summer a tribe of young actors and actresses descends to appear in a series of productions, always including A Midsummer Night’s Dream, directed by John Emerson and performed in the theatre out back. Mary Emerson cooks daily for the company and Elsa and her sisters do jobs around the place including, in the older sisters’ cases, playing Ophelia and Juliet in their teens. The idyll ends with the arrival of a hunky actor from Chicago called Cliff who precipitates a family tragedy, and in due course Elsa leaves for California with a less-hunky but nonetheless serviceable young man whom she marries in Door County before they go. It is easy for us in Europe to forget how huge the distances are in the USA. Wisconsin is as about as far from Hollywood as London is from Cairo; you didn’t just nip home for the weekend in the late 1930s when Elsa embarks on her future by long-distance bus. Much later she takes her first aeroplane flight to get back for a funeral, but when she sets out it is an irrevocable move which cuts her off from her people and the surroundings in which she has been embedded her entire life. Brave girl. She barely sees or communicates with her beloved father again, and when she does eventually go back it all seems so small. Moreover this story of Laura’s stardom and (second) marriage is already complete by the end of the first third of the novel, so as you read, holding the weight of the rest of the book in your hand, you know that there is so much more to come (one of the pleasures of handling an actual book). You forge ahead with some premonition of calamity – after all, the tale cannot surely be an uninterrupted upward trajectory when she’s already won an Oscar in the first hundred-and-two pages. The real test of Laura’s character comes with the decline in her fortunes, her weaknesses revealed, her attempts at going straight and making a living, the difficulties in her relationships with children and friends. We travel with her through the years, and it is a worthwhile journey, full of humour and warmth and struggle and insight, told in language that is crisp without ever being chill, the text pacy but lingering just exactly where we want to know more. By the end we are proud of our friend Laura, for such she has become, and yearn for her survival and happiness. Along the way we have learnt how brief and shallow is celebrity, how long-lasting and valuable are real skills and deep relationships based on love, trust and loyalty. Emma Straub is an acclaimed author of short stories; this is her first full-length novel and if she has her readers’ interests at heart it will be the first of many.